Tagline: May Eywa be with you. I see you. Jake Sully, a paralyzed marine, is assigned to take over the work done by his twin brother who died on the planet Pandora, which harbors a humaniod race of giant blue-skinned aborigines called the Na'vi whose land sits above a vast field of minerals which the human government wishes to mine. Sully's job is to convince the natives to abandon their homeland and move elsewhere. The Na'vi of course have no intention of abandoning their land where their deity, Eywa, resides and with whom they are one. 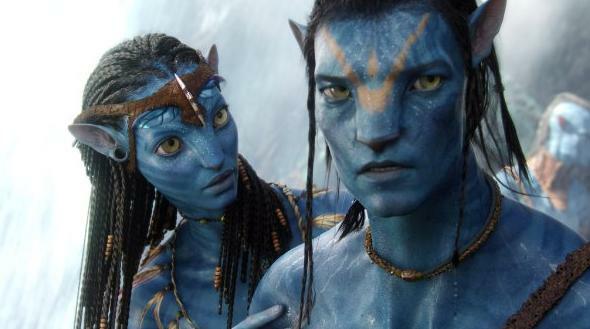 Ultimately Sully falls in love with the beautiful alien Neytiri and becomes simpatico to the plight of the Na'vi. Ultimately the humans force the Na'vi into a war and Sully must decide on whose side he will fight. I won't go into more of the plot but the theme obviously reflects the treatment of Native Americans and other aborigines throughout the European man's history. I strongly urge people of any age to see this beautifully crafted film. The visual effects are so real that one forgets that much of what is being seen has been computer generated. 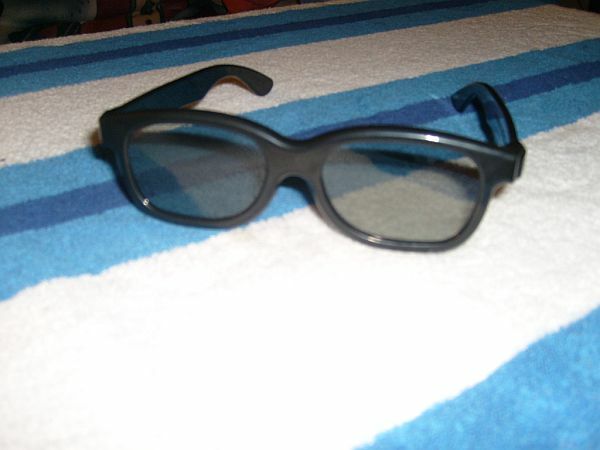 The film is also shown in 3D and friends of mine who has seen it in 3D say it is breathtaking. There is a 3D showing at the theater at which I saw Avatar with Jan, but the timing for the showing conflicted with our schedule for the day which necesitated our viewing the earlier 2D version. I just may go back and see the 3D version. There are critics who say that although the visual effects are terrific, the story is mundane. If you think that you are going to see Avatar and that it is GONE WITH THE WIND or CITIZEN KANE, don't see it. But if you want to be entertained by a sweet movie for almost 3 hours, I recommend Avatar with no reservations. And may Eywa be with you. Jan and I returned to see Avatar again today, only this time in glorious 3D. We loved it better the second time. This time the theater was filled with small children and I thought that we were in for a lot of noise. BUT the kids were entralled and silent throughout just as we were. 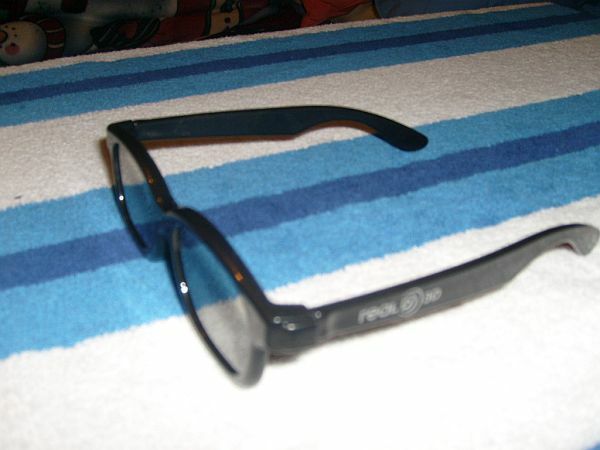 We paid $7 apiece for these damn 3D glasses so we were not about to give them back! LOL!